The fixed pay of chief executives in the ASX100 is at its lowest point in almost 10 years, but the bonus culture remains "strikingly persistent", according to a new ACSI report. The study by ACSI (the Australian Council of Superannuation Investors) found that average fixed pay for ASX100 chief executives had fallen by 3.3 per cent to $1.86 million. According to ACSI's 15th annual CEO Pay in ASX200 Companies report, corporate boards are seizing the opportunity to hire chief executives on lower pay packets. Across the entire ASX200, the fall was 4.6 per cent from the previous year, with chief executives taking home a fixed salary of $1.51 million. However, the decline in fixed pay appears to have been offset by the chief executives' bonuses, the report stated. "A solid 93 per cent of our ASX100 sample were awarded a bonus for their year’s work – more than at any time since 2008," ACSI said. The median bonus for an ASX100 chief executive was 76 per cent of the maximum, and only 7 per cent of chief executives in the sample missed out on a bonus completely. ACSI chief executive Louise Davidson said the fact that so many chief executives are receiving three quarters of their bonuses raises questions about the appropriateness of bonus hurdles. "This raises the question – are bonuses really just fixed pay dressed up as at-risk pay?" she asked. Bonuses were much more variable across the ASX101-200, where the median bonus was 56 per cent of maximum, said the report. One third of the 70 chief executives in the ASX101-200 sample did not receive a bonus. 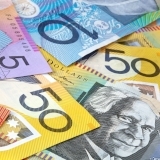 "For the second year, we have looked at realised pay, which adds the actual value of shares received by chief executives on vesting during the financial year rather than the theoretical accounting value included in remuneration reports," said the report. "Median realised pay across the ASX100 was down 2 per cent, at $3.88 million." Macquarie Group chief executive Nicholas Moore remains the highest-paid chief executive in the financial services sector, with realised pay of $16.3 million.